We ventured into the land of Blogs and Social Networks Music and Artist related sites and came up with a few great ones for you to check out. How to find local bands, follow your favorite band, get updates, who’s on tour in your area, find new music or classic music, which sites are best for what, widget features, videos, and more. Even before you sign up for a free account here at PureVolume.com, Click on the “On Tour” tab and the site will give you this incredible list of local bands and big names playing live in your area. You can also sign up individual bands mailing list like one I found “Chasing Jonah”, all before you even get a free account! Getting started with a free account here at Pure Volume is quite easy to do. 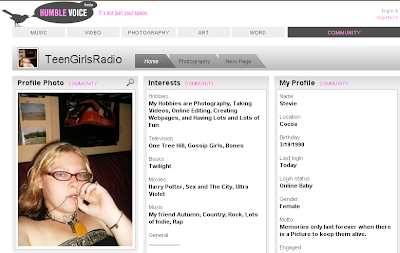 Choose listener or musician Artist accounts. Then watch featured, new, or PV sessions, upload photos, videos, and of course songs (MP3 format only here), choose skin color and texture background. The Switch Free Download MP3 Converter from NCH Software is too easy! They tell it better than I do, and much more info is on the site. Take a visit! Switch is a sound file format converter for Windows or Mac. Convert mp3 to or from many other file formats including wav, wma, aiff, mpeg, avi and more. For example convert wav to mp3, mp3 to wav, wma to mp3 or many other formats. Just add the files you want to convert, select the output format, and then click convert. Having a newer version that you can choose at Project Playlist is yet another update of the Internet Blogs and Social Networks World that I find notable. 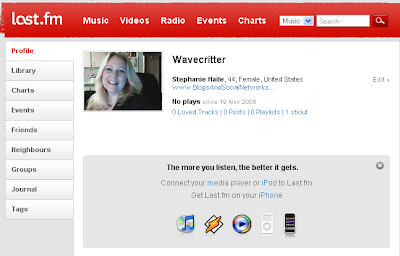 Project Playlist is now easier to navigate and now you can have your blog area to blog away about music or whatever. With 100 songs per playlist and as many separate lists as you want to take to any site via the Project Playlist HTML widgets, this sites portability and choice are hard to beat. Gain buddies, search for music by artist or title, use the pop out features of any playlist when you want to listen in, but not remain glued to the site. Humble Voice on the other hand is still presently in Beta but watch this site grow by leaps and bounds! This is not only a music based site but an “Artist” site. A well thought out site for the “Arts” not only musicians and listeners but for photographers, videographers, writers, and “Creators” in general 🙂 When creating your initial profile here at Humble Voice, you can choose between a photographer, writer, musician, videographer, artist, or other. Editing your profile is an optional detailed adventure (which I highly prize, this will give viewers a larger view of you and your work) or you can skip things and just tell a bit to keep it brief. Humble Voice has options to send messages, add friends, instant message right from the site (this will save you from having many other messaging systems open and focus more on the site you are on :), forward your profile to friends, bookmark, or block other users for privacy. Choosing photographer, muscian, artist, or writer allows you to add on multiple pages for a bit of a “web site” creation to showcase your imaginations.